You know the Islanders out of playoff contention when the big story this week involves The Simpsons. AK47 Studios, a design company that promotes its work on Instagram, redesigned every NHL logo by using Simpsons’ characters. They’re fantastic. The Islanders may have one of the best of the bunch. 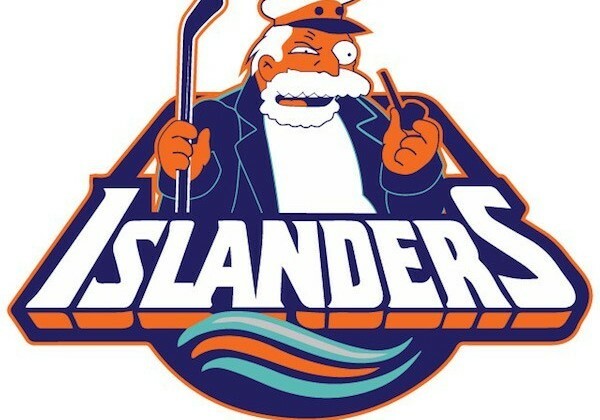 Captain Horatio McCallister takes the place of the Gorton Fisherman, or whomever the Islanders used as the face of the old fisherman logo, and it looks brilliant. Seriously. Isles fans would buy this on a tee shirt. AK 47 Studios should jump on a call with the NHL and 20th Century Fox like today. It’s not often you can mix pop culture and sports and knock it out of the park, but this design studio did. Kudos. Check out all the logos on the AK47 Studios Instagram page.